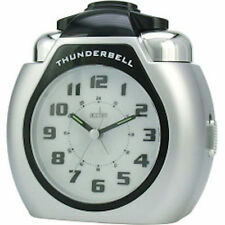 An alarm clock with a snooze fuction. 2 x Alarm Clock. - Material: ABS and electronic component. We will solve your problem as soon as possible. - LED light color: Blue. - Shell color: White. - Adopt large LED screen for easy to read. Loud awake,which perfect for deep sleepers, mild loss hearing, hearing impaired even deaf. 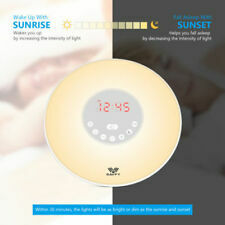 Without snooze function, good kids training alarm clock and wake up for people who has trouble waking up. 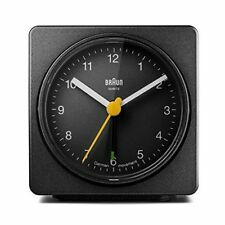 Wall Clock Type: other. 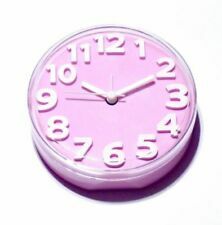 Type: Wall Clocks. Unit Type: piece. Form: Single Face. Combination: Multi-piece set. Display Type: Digital. Model Number: other.